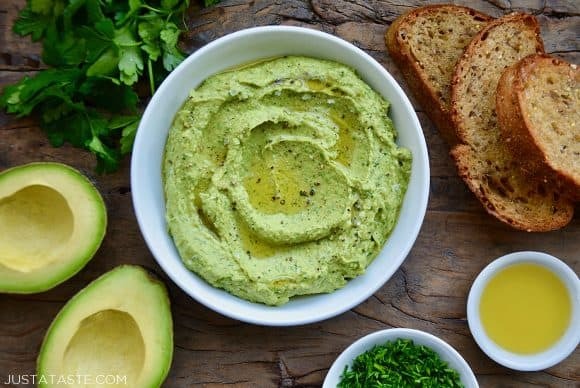 A classic salad dressing goes for a dip with a creamy and refreshing recipe for Green Goddess Avocado Hummus. What do you get when you cross a bowl of guacamole with a garden full of fresh herbs? 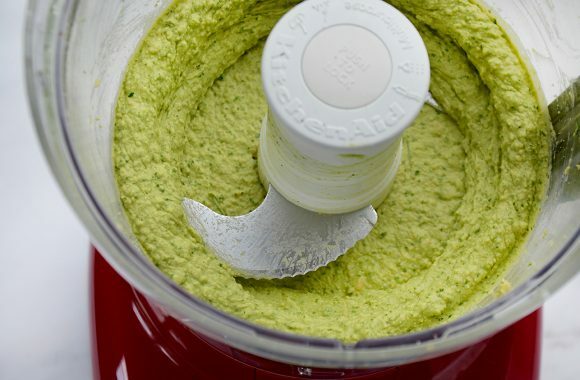 Creamy, citrusy, garlicky Green Goddess Avocado Hummus! This latest spin on traditional hummus gets extra oomph not only courtesy of an avocado but also four types of fresh herbs: parsley, cilantro, tarragon and chives. 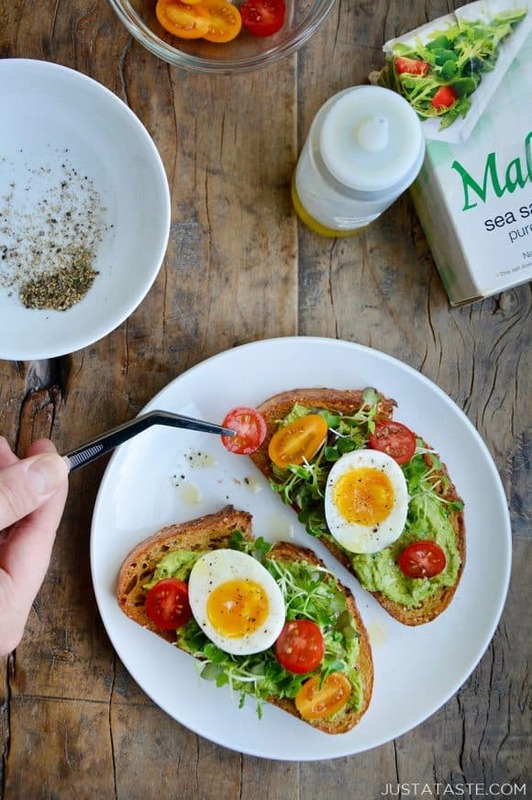 Toss in some garlic, a hearty squeeze of fresh lemon juice and we have the makings of a healthy dip or toast topper thats guaranteed to give avocado toast a run for its money. While it may be laborious, the real secret to super-smooth hummus is removing the skins from the chickpeas. Yes, every single chickpea. The skins are rough in texture and don’t blend seamlessly into the hummus, so by kicking them to the curb, you’re ensuring a silky purée perfect for dipping or spreading. When it comes time to dish it out, opt for a big ol’ bowl drizzled with olive oil and topped off with crunchy sea salt and fresh black pepper. And don’t forget the crunchy toasts or pita chips for dipping. Feeling a bit more fancy? 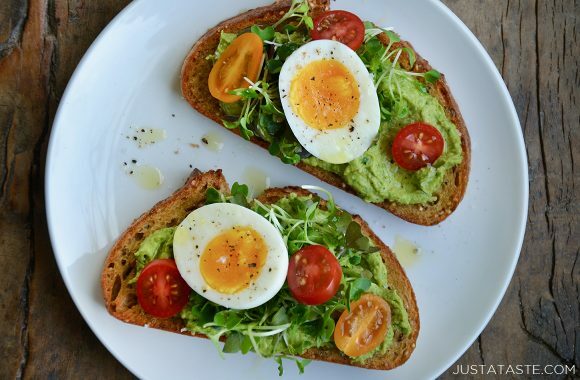 Whip up the food trend du jour with a plate of avocado hummus toast topped with greens, tomatoes and jammy eggs (a.k.a. soft-boiled eggs). The pairing of the creamy hummus, crunchy bread and barely-cooked yolks is hard to beat! 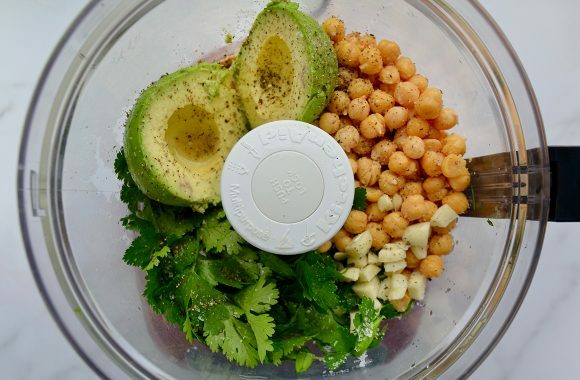 Add the chickpeas, tahini, garlic, lemon juice, parsley, cilantro, tarragon, chives, avocado, 1 teaspoon kosher salt and 1/2 teaspoon pepper to the bowl of a food processor. Transfer the hummus to a serving bowl, drizzle it with extra virgin olive oil, and top it with salt and pepper.